Read the newsletter by clicking the picture of the newsletter below. When the newsletter opens up you can enlarge it by clicking anywhere on a page. You can drag the page around with your mouse to read different areas of the page. When the newsletter is enlarged you can click anywhere on the page to reduce the size. To turn the page click on the lower right hand corner of the page. To turn back to the beginning click on the lower left hand corner. 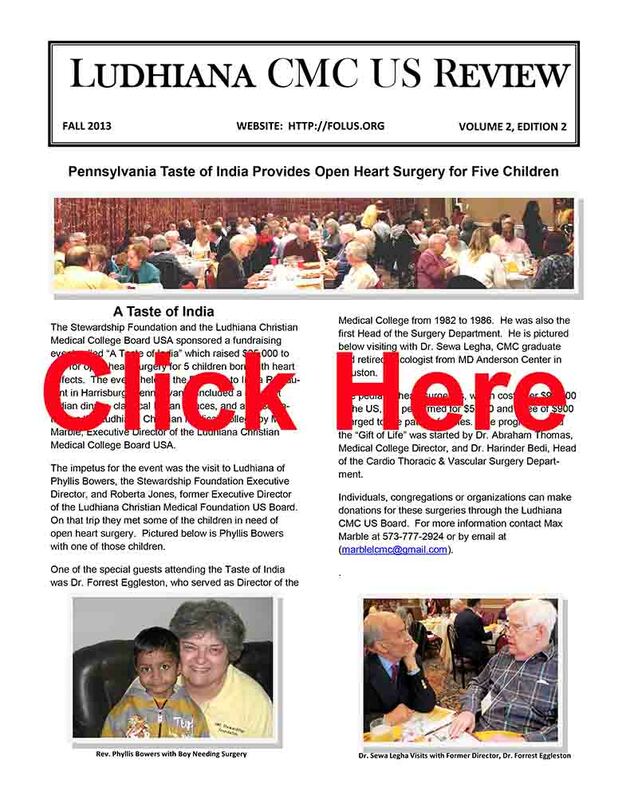 The US Ludhiana CMC Board provided funds to the Ludhiana Christian Medical College for a computerized microscope, computer and LCD projector to be used at these weekly tumor board meetings. The new equipment enables those gathered to view the tumors together and discuss the best treatment for the patient. The Tumor Board, headed up by Dr. Navneet Chaudhry, Head of Surgery, meets every Friday afternoon to review each cancer patient under treatment. The board includes members from all of the surgical specialties as well as Pathology, Medical Oncology, and Radiation Oncology. They also have input from Radiology which helps with reviewing CT scans and x-rays.